How many public relation companies do not have websites? Or a Facebook account? Or a Twitter account? 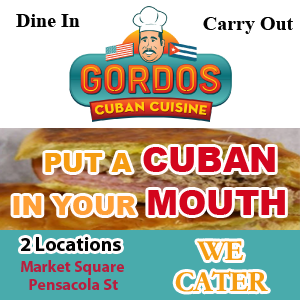 TR found at least one, and that PR company happens to be located in Tallahassee with a well known employee named Andrew Gillum. Candidates running for governor of Florida were recently required to file financial disclosure forms with Florida’s Division of Elections. 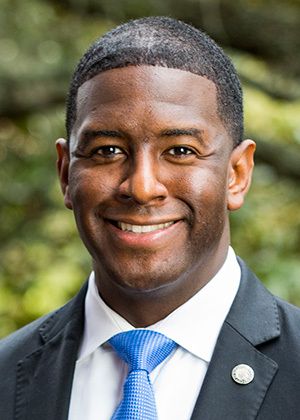 The form filed by Tallahassee Mayor and gubernatorial candidate Andrew Gillum reveals, that in addition to the income from his mayoral duties, he added another income producing job in 2017. The form, shown below, lists Gillum’s mayoral salary as $79,176 and a salary from “P&P Communications, Inc.” of $71,680. In March of this year the Tampa Bay Times reported that a spokesman for the Gillum gubernatorial campaign said Gillum does “leadership consulting” as a P&P vice president, but declined to name any clients. This means that in 2017 Andrew Gillum was running for governor of Florida, serving as mayor of Tallahassee and working for P&P Communications. A simple google search could not find any links to a website for the PR firm or any social media accounts. Also, the search did not find any links to “P&P Communication” news such as announcements by businesses that hired the company. However, TR did verify that one corporation was doing business with P&P Communications – the Andrew Gillum campaign for governor. Also, the property address for P&P Communications is the same as – you guessed it – the campaign headquarters for Andrew Gillum for Governor. How did Mayor Gillum juggle the responsibilities of being mayor of Tallahassee, running for governor of the third largest state in the U.S and provide “leadership consulting” for $71,000. However, a more important question might be is Andrew Gillum being paid to run for governor through a fake company? 34 Responses to "Mayor Andrew Gillum Paid by PR Firm with No Website, Will Not Identify Clients"
“In October Gillum raised $6,000 through his political committee, Forward Florida, of which $5,000 came from P&P Communications, a company in which Gillum is listed as a director. ” Gillum and Rocky Hanna both have advanced degrees in avoiding the truth. Paper trails for both tell the “untold” story! Stay thirsty for the rest of the story! It amazes me that you guys will Post about Andrew and how seemingly unethical he appears to be in your reports, but I didn’t see one article about Christine Thurman’s racist and bigoted posts on facebooks. Not one. Jami, do to resources, we try to focus on stories that other local media ignore. The Thurman story received a lot of attention. TR subscribers, by their own words, do not read or believe other local media. They depend on TR. Do TR readers know enough about Thurman to make informed decision? I don’t think so. Does TR have a responsibility to subscribers to tell the truth about Thurman? Oh jeez, it’s almost like if the Democrat hired a Republican and TR hired a Democrat we could all shut up and start unilaterally addressing community issues. Christine Thurman is not running for Governor. I have been wondering about that ever since it was first brought up a few months ago. Where do I go to get a $71,000 job like that? Or is it some sort of shill, I mean shell company? Our geniuses at The Democrat wrote a story early this morning that Andy’s people cancelled a previously scheduled interview set up for this afternoon with The Democrat. “Ironically” Andy’s cancellation came in this morning soon after Steve published this article. The Democrat speculated that the brave Andy likely must be planning on making himself available for many words of “wisdom” during and after Trump’s Florida rally as the reason for the cancellation. I feel differently. Quite likely this very article by Steve, published early this morning prior to The Democrat’s cancellation article, was the reason for Andy’s backing out of their interview. The can of worms Steve opened up with this article may contain enough information and direction to prompt a reasonably smart detective to do little more digging into some really damaging revelations regarding our “beloved” Andy. I predict Andy will scramble to salvage as much of his funding as possible and shut down his campaign within a few days. I’m sure it’s not drug money. But if it was that’s how you would do it. Andy feels the people have no right to know the truth. According to their online info, Their annual revenues are approx. .$73,000. Looks like their sole function is to provide andy with an income. George Soros Honey pot obviously. P&P? Simple.. Pitman & Plunder. Go to Sunbiz.org, Search Records by Entity Name. When you enter P&P Communications, click on the link that gives information about the entity. Scroll to the bottom and select the 2017 annual report. Gilliam wasn’t paid by the businessman. He was the business, man! So who is Sharon L. Pacheco, n/k/a Sharon Letman-Hicks who obtained the Melvin ST property on a quit claim deed on 3/3/2017? And what does n/k/a mean? Is there a new exciting abbreviated way to indicate “Now Known As” rather than the standard “A/K/A” for “Also Known As”? Could be a typo for a/k/a however on the keyboard the “a” and the “n” are nowhere near each other. But typos seldom find their way into public records. The online records at the Leon County Property Appraiser’s website can be a darn pesky thing when you are funneling money to folks on the down-low. A certain social justice lawyer whose office is across the street from the local rag. Reading this crap really makes me sick. Talk about racist! Then to state your life’s work is to concentrate on a fringe of society LGBTQ (glad they include that Q) to promote. Most of us couldn’t care less who people want to live with, and what they do behind closed doors. Many have a problem with kids being brought into these abnormal families, which biology mandates would never happen naturally. But we are not going to celebrate this abnormal lifestyle. And I sure hope no one is receiving tax payer money to promote this nonsense. I smell obama all over this. At the address of 1550 Melvin Street, Tallahassee (at the corner of Palmer and Melvin via Google earth) on the top of the building it says P& P Communication. The letters are presented as mirror images. So Mr. Stewart – what did Gillum do to earn these wages; and when and with whom did he do it? Shouldn’t this be on his resume? Transparency, huh? In addition to P&P, page 4 of Gillum’s disclosure indicates he was paid $26,070 by the People for the American Way Foundation located at…you guessed it…1550 Melvin St.
Globalist billionaire seeks to make lightning strike twice with the grooming and propelling of another obscure black man into the U.S. presidency via shadow corporations, bought and paid for fake news and the silencing of anyone else. To see what’s going on now, study that Irish fellow Brock 0’bama’s rise to stardom and who pulled the strings before, during and now after for that to happen as has already been noticed. This is the deep state down in Tallytown playing the long game again. Gillum is either as dishonest as they come or as naïve as they come. He obviously doesn’t think he needs to be held to the same ethical standards as everyone else. With friends like Andrew, who needs enemies?. Ah, another right-wing conspiracy to distract from the unquestionable virtue of the Mueller investigation . . .
Dandy Andy is a prime example of the adage; “Give a fool enough rope, and sooner or later they’ll hang themselves.” I imagine as Gillum realizes his quest for governor is sinking out of sight, he looks at the pile of Soros campaign donation cash and wants to grab as much of it as he can before the campaign folds up it’s tent. Perhaps Andy’s greed will be his undoing. Dr. Erwin Jackson, I hope you are even now busy filing a campaign-violations complaint with the proper authorities. P & P stands for People and Persons For the American Way. No “Facts” what just happened was TD just lured Sharon into reading from a recently made up script a bunch of “facts” she will never be able to recall because they are not true. TD/Ganett are supporting Gwen in case you did not know. Sharon walked right into the TD/Ganett clever trap. The issue is that the man is running for governor. He has a full time job as major. He has a part time job making $71K (way more than a full time salary for a lot of people). He won’t say what he does for that part time salary and won’t say for whom he does it. The TD article is a cover job. The “president” of P&P says she is his client because he consults on her consultant jobs. That means she’s either not telling the truth or she is a not very good at being a consultant. Either way, there still are no answers to the questions of what does he do for his money and who does he do it for. and how DARE you question him? Don’t you know that’s RACIST?!? I’m plenty “fed up” myself. all about how Gillum is a member of Burning Spear, a secret society which on the surface, talks about making FSU rise in the rankings, but in reality, undermines any sense of justice or equality within the FSU SGA. No student ever has a chance of beating the campaigns these rich powerful people fund. We need reform that outlaws this kind of absurd STUDENT govt campaign finance. But only FSU senators can change the bi-laws. And we’ll never get the Senate back from them unless public opinion changes.